Simon Schama is a British historian and academic. A well known and highly respected authority on social history, art and cultural observation. He is a jew. Simon Schama is pictured below. Last night on BBC2 he was presenting his programme, Civilisations. I think this was a repeat but nevertheless it was a quality programme as one would expect from the BBC. The topic of tonight's edition was how art transformed from high quality life observation into abstract nonsense and worse still how it has become a commodity to be traded for financial gain etc etc. So quick was he on the holocaust draw he was on it immediately the programme started. He was in the museum of the Therezienstadt camp museum in a well lit ground floor corridor where a glass wall cabinet contained artwork made by child residents of the camp. 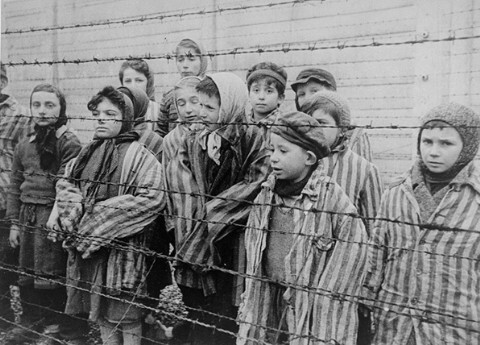 He immediately jumped to a position that these children were sent on to Auschwitz where they were mostly murdered. The figure he quoted was along the lines of 'of the 35,000 children held here and sent to Auschwitz fewer than 130 survived'. The suggestion of gas chamber death was not to be missed. Further he stated that the children and the old were the first victims of the gas chambers there, being unfit for work. However the sleight of hand was only just to begin. He then read a few of the captions alongside each picture which gave the name of the painter and the date of death or a notification that they survived. He read one where the girl survived and he celebrated by saying 'good on her for sticking one to the nasty Nazis' or words very similar. The next one showed a date of death, 9/10/44. He then made a very bold claim with zero evidence, because nothing else was written on the caption. He claimed that she was probably murdered in the gas chambers of Auschwitz. A few minutes later that suggestion became undisputed fact when referring to her again he stated she HAD been murdered in the gas chambers. So you can see how they step it up from a problem, to an almost certain probability, to an absolute fact. With no proof whatsoever!!! You and I might notice these tricks but to the casual observer the words go in and stick. The message was clear - that thousands of jewish children were sent to Auschwitz to be murdered in gas chambers. And that's a fact! The programme isn't going to attract a massive audience but could easily reach 200,000+++ viewers. Enough to get that message across loud and clear. I notice recently on this world wide attack on lack of holocaust awareness coupled with a rise in anti-semitism the inbuilt DNA of the jew is to scream 'Muh holocaust' at every opportunity. They simply cannot help themselves, it's an automatic reaction to anyone not liking them or daring to question the holocaust. 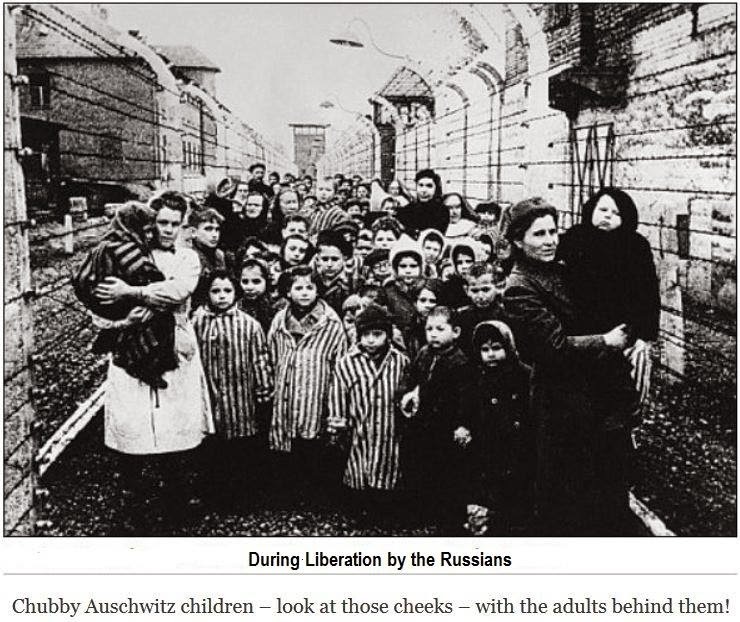 Schama the Liar said that 'of the 35,000 children held here and sent to Auschwitz fewer than 130 survived'. Further he stated that 'the children and the old were the first victims of the gas chambers' there, being unfit for work. * 'Extermination camp Auschwitz' where thousands of Jews chose to be left behind when the Germans left. * 'Extermination camp Auschwitz' where most of the inmates, more thousands, chose to leave WITH the Germans. * 'Extermination camp Auschwitz' where 1,250,000 human remains are supposedly buried, but no one can show us these remains. * 'Extermination camp Auschwitz' where the absurdly alleged homicidal 'gas chambers' could not have worked as alleged, as proven repeatedly, scientifically. * 'Extermination camp Auschwitz' where fake 'gas chambers' were "reconstructed" AFTER THE WAR. * 'Extermination camp Auschwitz' where detailed aerial photos of the period show nothing that is alleged to have been happening. * 'Extermination camp Auschwitz' where there are even obvious, laughable attempts to tamper with aerial photos that make a mockery of the fake storyline. 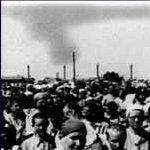 * 'Extermination camp Auschwitz' where there were / are countless Jew "survivors". * 'Extermination camp Auschwitz' where so called "survivors" say the most impossible and conflicting things that do not hold up to scrutiny, would be laughed out of a legit court of law. If those unfit for work were immediately killed, then how did Anne Frank survive for a month at auschwitz? Spatton wrote: If those unfit for work were immediately killed, then how did Anne Frank survive for a month at auschwitz? We also know that she was transported out of "extermination camp Auschwitz" to Belsen, where, in spite of being given medical care, died of typhus. Ooooooh but the story is that the child survivors were twins needed for experiments. Otherwise they wouldn't be alive.